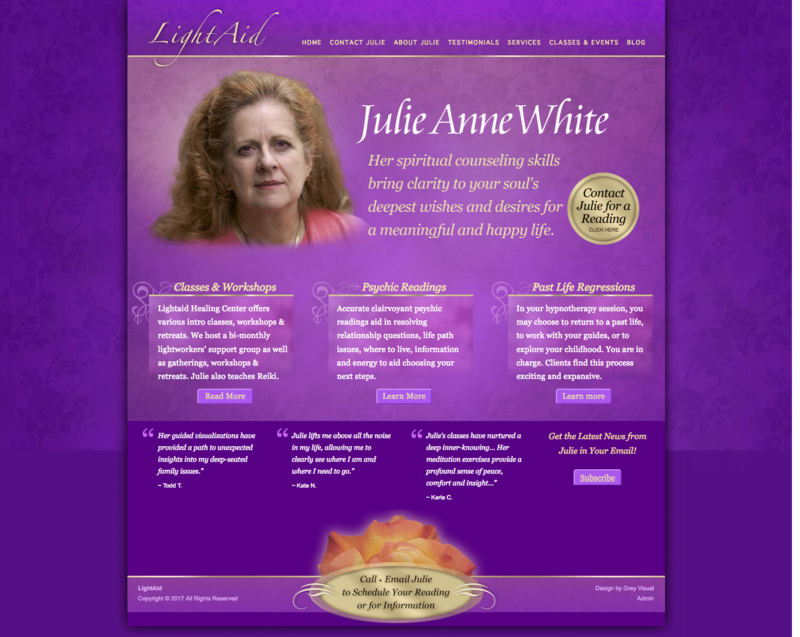 We’ve practiced Tai Chi, Meditation and Alternative Healing practices for decades so naturally we were very interested in Julie White’s vision for her LightAid Healing Center. She will be offering Lightworkers’ support classes, psychic readings and more. We were really excited to give her a beautiful and informative “launch vehicle”! Her WordPress site features a comprehensive Event Scheduling and Ticket Purchase module. It is my job to remind you who you are.